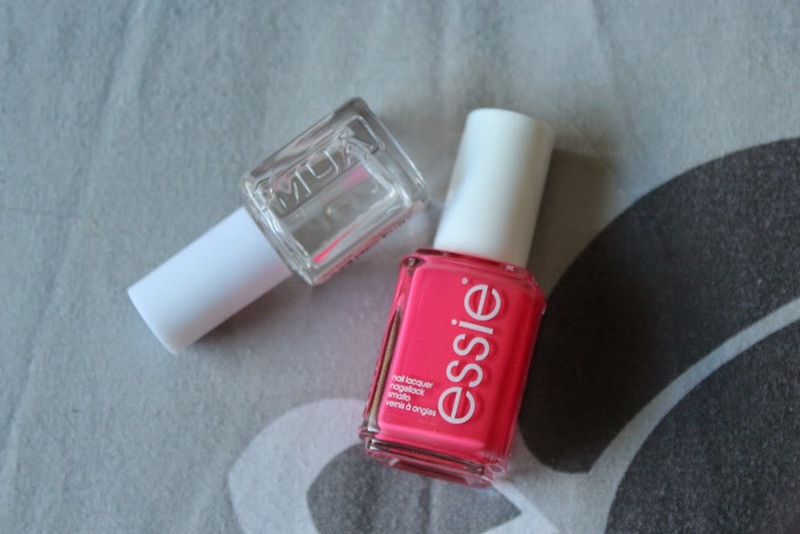 I chose essie's "Peach Daiquiri" for this weeks tips! I just can't stop staring at it, when I wear it on my nails! It's a perfect peachy coral colour and therefor a great summer colour! I think this will look lovely with a nice tan. Also the cute name makes me wanna sip cocktails in the sun with my feet in the sand! Speaking of feet - this also looks gorgeous on your toes! The quality of essie nail polishes is impressive! I never thought I would jump on this bandwagon but about 2 months ago I purchased my first ever essie nail polish and fell in love. The applicator is a great size as it's quite big, but not too huge. I love that the consistency of the varnish is not too runny but also not too sticky! It applies really smooth and easy. 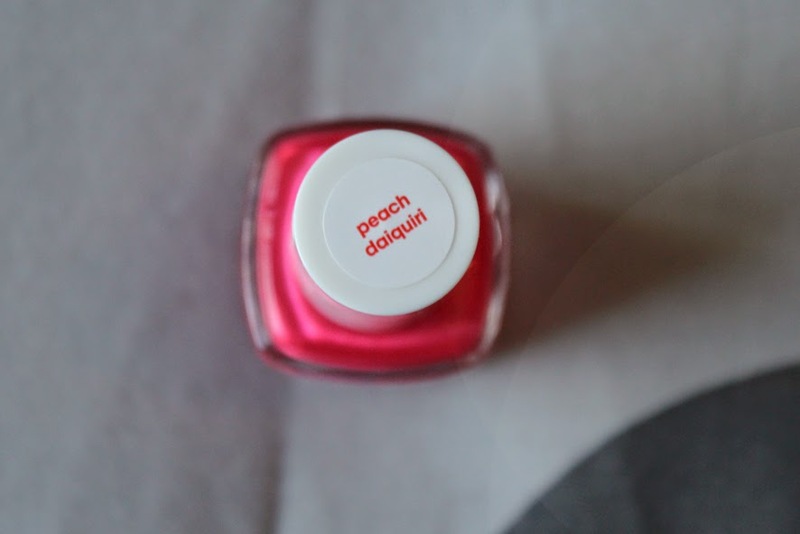 And with "Peach Daiquiri" I had a great result after just two coats! As for the staying power: I work with my hands a lot and wash them quite often, so I'm by no means the best example for chip-resistant nails. 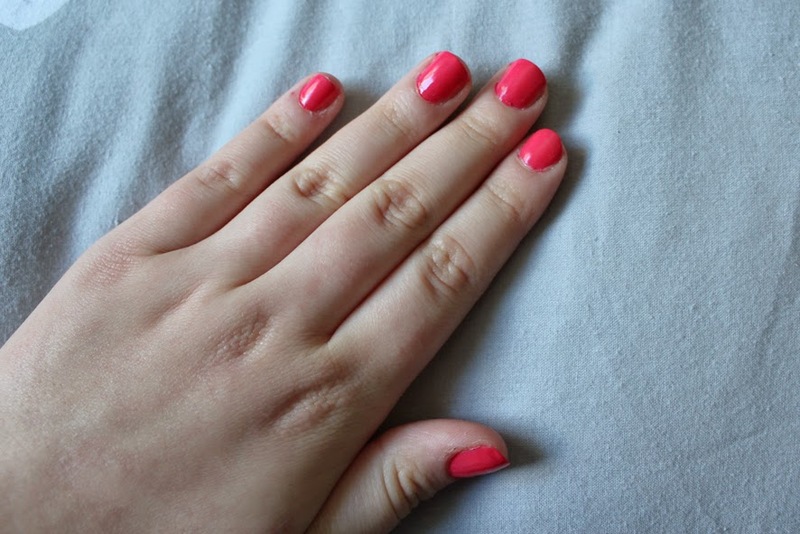 I'm yet to find a nail varnish that stays on chip-free for more than 3 days! I also used this MUA Clear Top Coat as a base coat and top coat to finish my nails off. What has been on your nails this week?